To celebrate the 75th Diamond Anniversary of the Pittsburgh International Auto Show, someone will go home with a $7,500 Diamond Necklace from JODEN Jewelers. Every ticket will have a tear off number, so be sure to hold onto your ticket at the event! Thanks to the generosity of the Greater Pittsburgh Automobile Dealers, our corporate sponsors, the Pittsburgh Vintage Grand Prix and everyone who attended The 2018 Dancing with the Cars! With your help, we were able to raise a record-breaking $5,102,500 for the Pittsburgh Vintage Grand Prix Charities. A great night for a great cause! Food, drinks, entertainment, dancing and cars all benefitting the Pittsburgh Vintage Grand Prix Charities, Autism Society of Pittsburgh, and Allegheny Valley School. We hope that your organization will help us make a difference in the lives of those who are positively impacted through the Pittsburgh Vintage Grand Prix Charities by becoming a sponsor of Dancing with the Cars! Each year the Greater Pittsburgh Automobile Dealers Foundation selects a "Charity of Choice" to be the beneficiary of proceeeds from the Dancing with the Cars event. 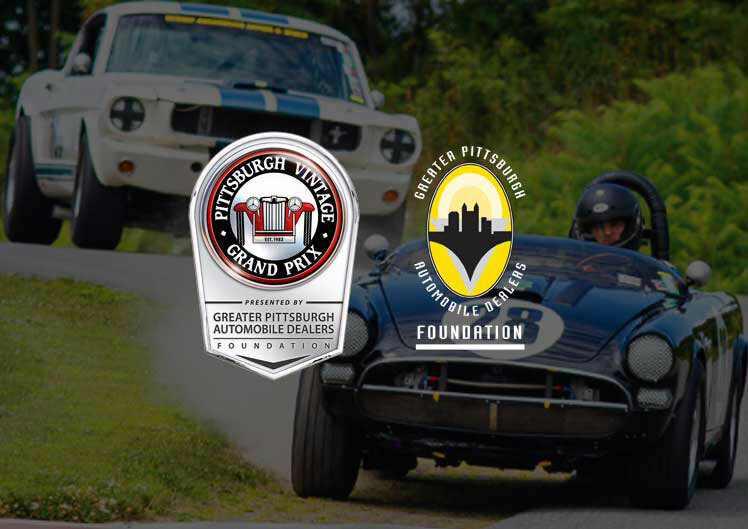 Our 2018 event beneficiary is the Pittsburgh Vintage Grand Prix Charities. Get your tickets for the annual Dancing with the Cars event at the David L. Lawrence Convention center for a fun-filled Pittsburgh Auto Show preview.